Bridget Tolley is Algonquin from the Kitigan Zibi Anishinabeg in Quebec, Canada. Her mother Gladys Tolley was struck and killed by a police car in October 2001. Bridget is a committed activist in the family-led movement to end violence and the disappearances and murders of Aboriginal women and girls. She is also active in social justice causes causes related to police violence, First Nations education, housing and child welfare. 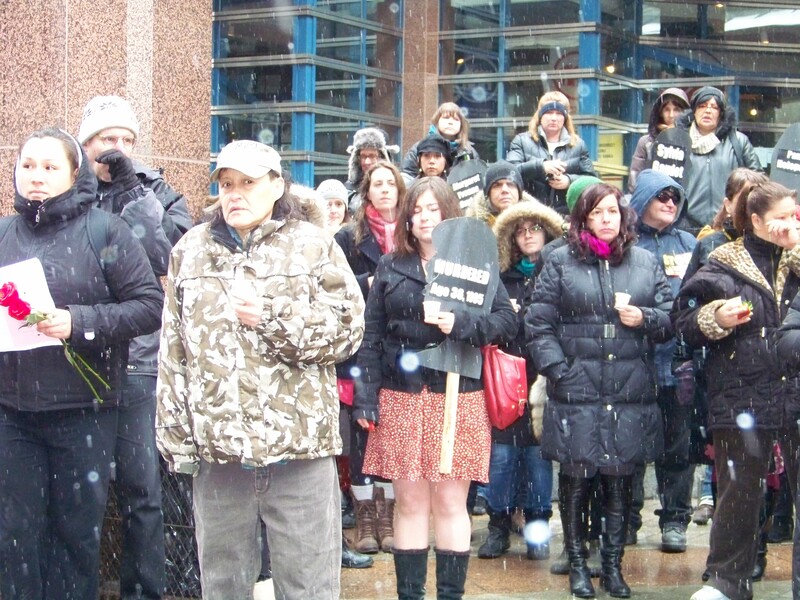 The photo essay below is of the rally and feast held February 14th, 2012 in Toronto organized by No More Silence and the Native Youth Sexual Health Network. All photos taken by Jorge Antonio Vallejos aka Black Coffee Poet. BCP: Please explain the work you do. BT: First of all, it’s not really work to me, it’s my life. It started with the death of my mother Gladys Tolley who was struck and killed while crossing the road in Kitigan Zibi First Nation by a Surete du Quebec (SQ) police car in October 2001. After my mother was killed, I didn’t go anywhere for three years. During those early years I spent all my time and energy gathering every piece of information and report that I could about my mother’s death. I learned that one of the investigating officers in charge of the scene was the brother of the office who struck my mother. I also found contradictory reports from three police services (Montreal, SQ, Kitigan Zibi) that left me feeling deeply disturbed. It was then that I took my case to Beverley Jacobs, who at that time was President of the Native Women’s Association of Canada (NWAC) in 2004. 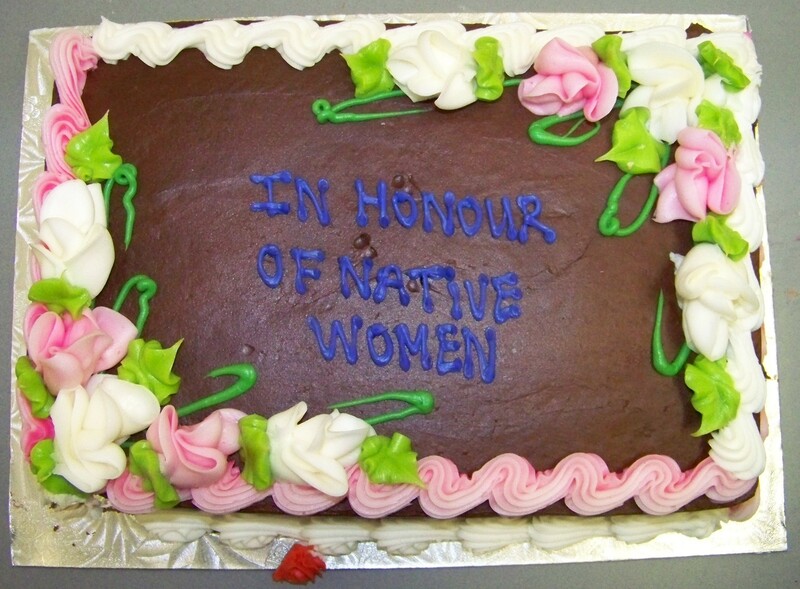 The following year in 2005, NWAC launched the Sisters in Spirit (SIS) initiative funded by the Liberal government. 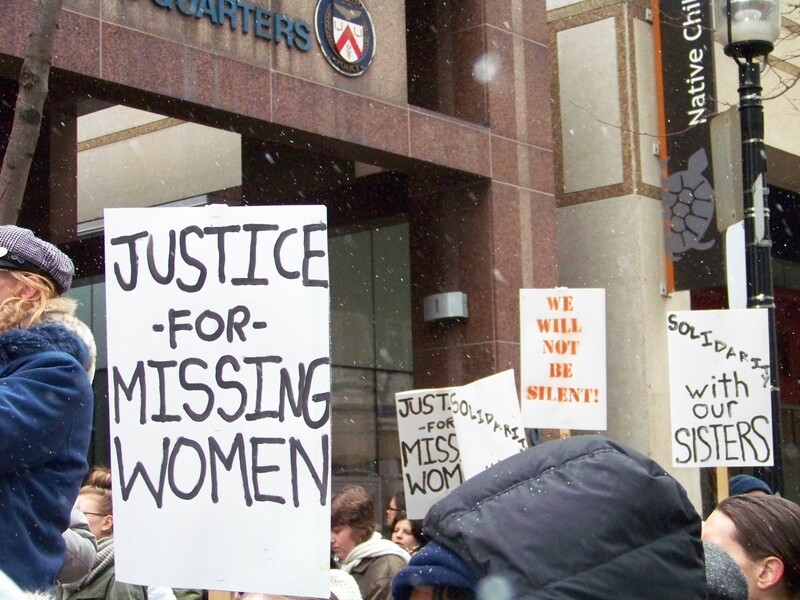 SIS was a research, education, and policy initiative aimed at documenting the number of Missing and Murdered Aboriginal women and girls in Canada. I had an idea that I needed to bring the faces of the missing and murdered to the political center of Canada, to Parliament Hill in Ottawa, which is also the traditional territories of my People, the Algonquin. There were more than 500 Missing and Murdered Aboriginal women and girls who were documented by SIS (the number is now well over 600) and I wanted the federal government to see all the faces and hear the stories of families affected by violence and impunity and their struggles for justice and support. Every October 4th vigils are held across these lands and even internationally to remember and honour these women. My personal journey for justice, and answers, led me to connect with so many other families. 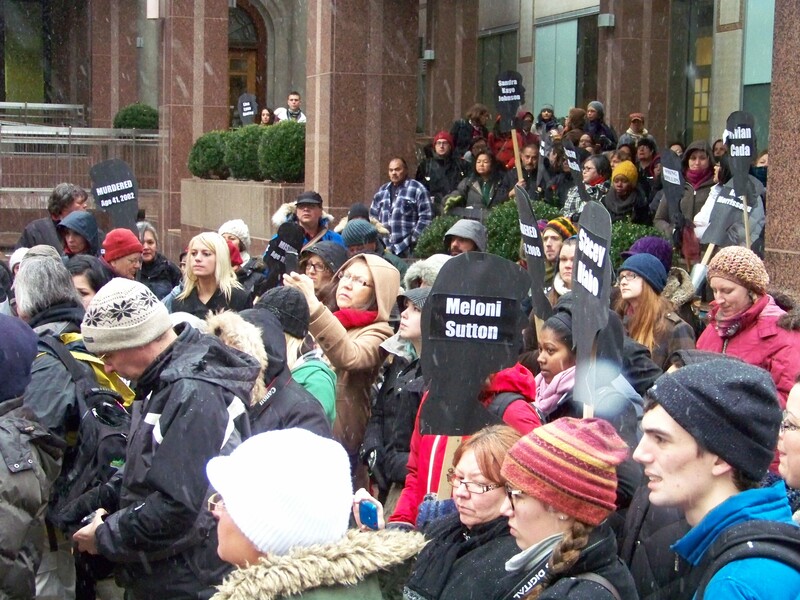 In December 2010, after several months of speculation, the Aboriginal People’s Television Network reported that the Native Women’s Association of Canada’s groundbreaking Sisters in Spirit (research, policy, and education since 2005) Initiative on behalf of more than 500 missing and murdered Aboriginal women, had been cut. 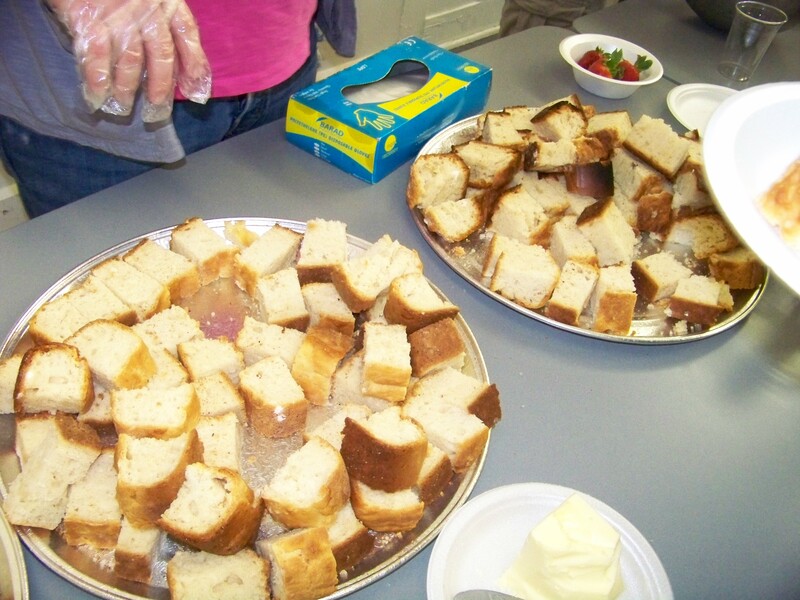 The small staff of SIS was laid off and there was no contact with families for several months. When the announcement of fundamental cuts to SIS (they were no longer allowed to do any research; including their growing database; nor could they do public advocacy for families. They were also barred from using the name Sisters in Spirit and any future work; unclear what that could entail) would be conducted as “Evidence to Action” and without central support from family members. I found this to be unacceptable and decided to continue the original work of SIS. I co-founded Families of Sisters in Spirit (FSIS), a grassroots organization by and for families of missing and murdered Aboriginal women, in particular those living east of Manitoba. 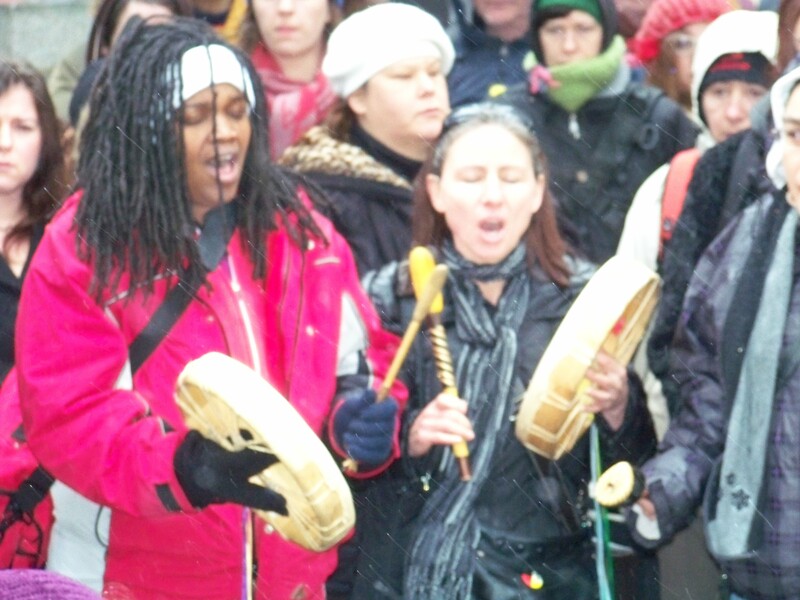 In early January 2011 I co-founded FSIS along with non-Aboriginal ally and PhD candidate Kristen Gilchrist, and former President of the Native Women’s Association of Canada Beverley Jacobs. Without any government funding and sadly without support from the Native Women’s Association, FSIS has worked tirelessly to build mutual relationships with family members and are working in solidarity with many family members of missing and murdered Aboriginal women and girls. Using our own money, community donations and in-kind support, during our first year, FSIS arranged face-to-face meetings between family members and members of the Federal Opposition, the Assembly of First Nations-Quebec and Labrador, and Mohawk leader Ellen Gabriel. 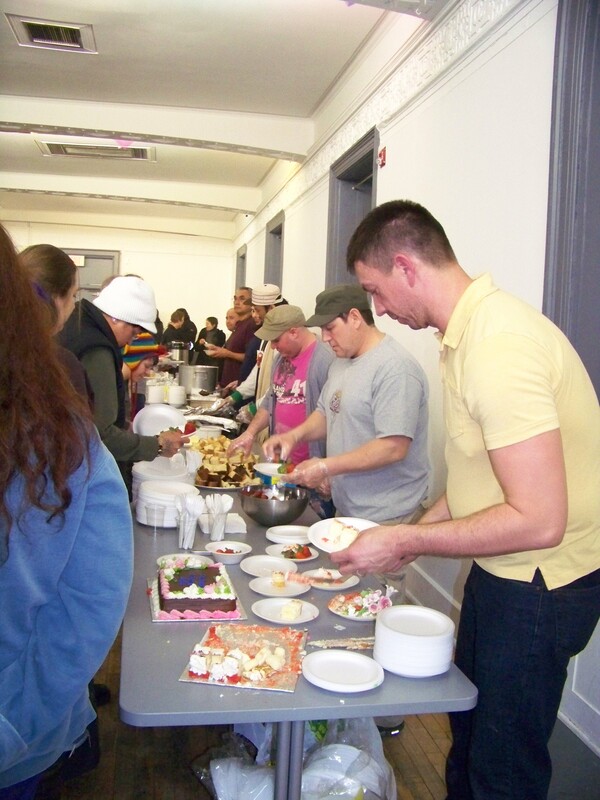 FSIS also organized and/or participated in more than 60 events, including vigils, rallies, fundraisers, panel discussions, community forums, and public education/guest lecturing. 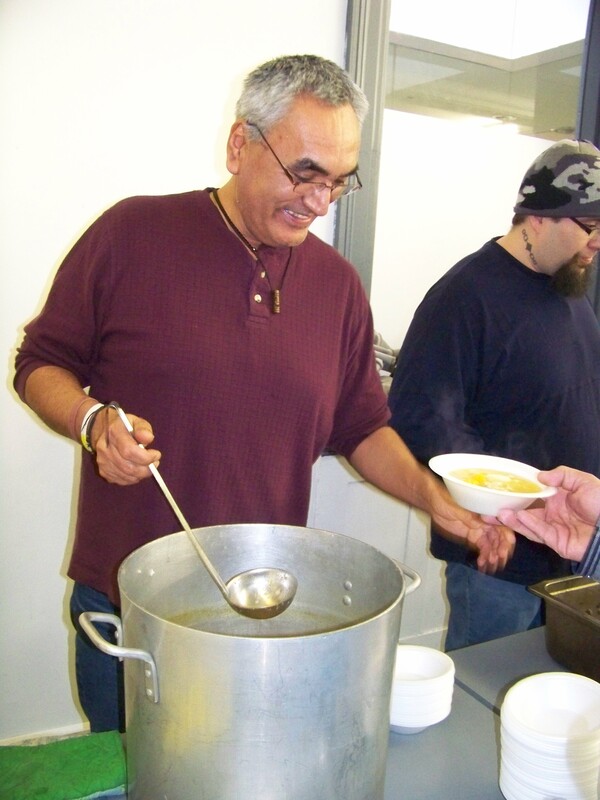 Without the support of families and community organizations (listed below), FSIS could not have run such a successful campaign as they did with 30 Days of Justice 2011. This campaign ran from September 4th-October 4th and featuring events in Ottawa, Kitigan Zibi, Montreal, and Kahnawake Quebec. For more information about 30 Days of Justice 2011 visit the campaign’s blog: http://30daysofjustice.wordpress.com. 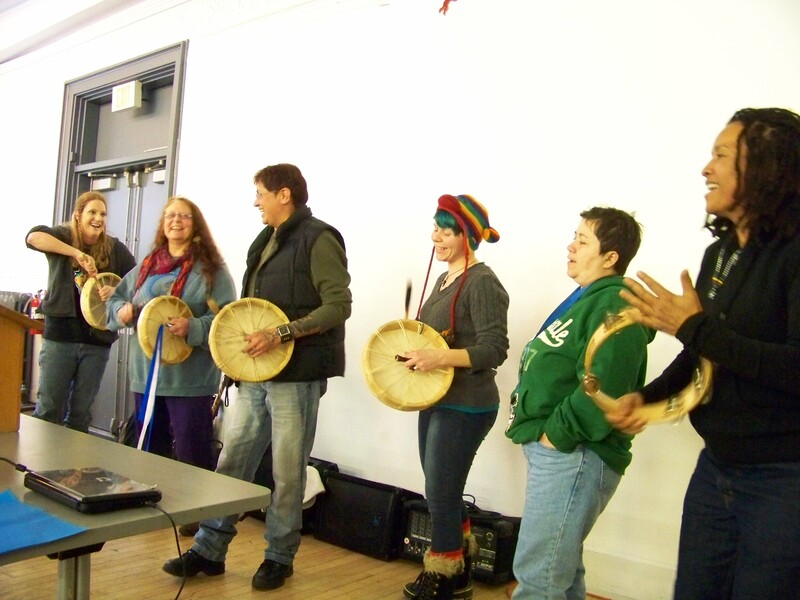 FSIS has also forged relationships and partnerships with Aboriginal organizations such as Minwaashin Lodge-Aboriginal Women’s Support Centre, the Native Youth Sexual Health Network, and Walk 4 Justice. As well as local and national solidarity organizations such as Amnesty International, KAIROS- Ecumenical Initiatives, POWER (Prostitutes of Ottawa-Gatineau, Work, Educate and Resist), AIDS Committee of Ottawa, Project of Heart, IPSMO (Indigenous People’s Solidarity Movement Ottawa), Ontario Public Interest Research Group (OPIRG)/ Group de Recherce D’interet Publique D’Ontario (GRIPO), The Canadian Resource Centre for Victims of Crime, Carleton University Womyn’s Centre, U of O Women’s Resource Centre and Ottawa Coalition to End Violence Against Women (OCTEVAW). For information on what Families of Sisters In Ssprit does, please see our mission statement attached at the end of this interview. BCP: Have the police admitted any wrongdoing in the death of your mother? BT: No. There hasn’t even been any communication from any of the three police forces. I actually found out that the case was closed from a reporter. 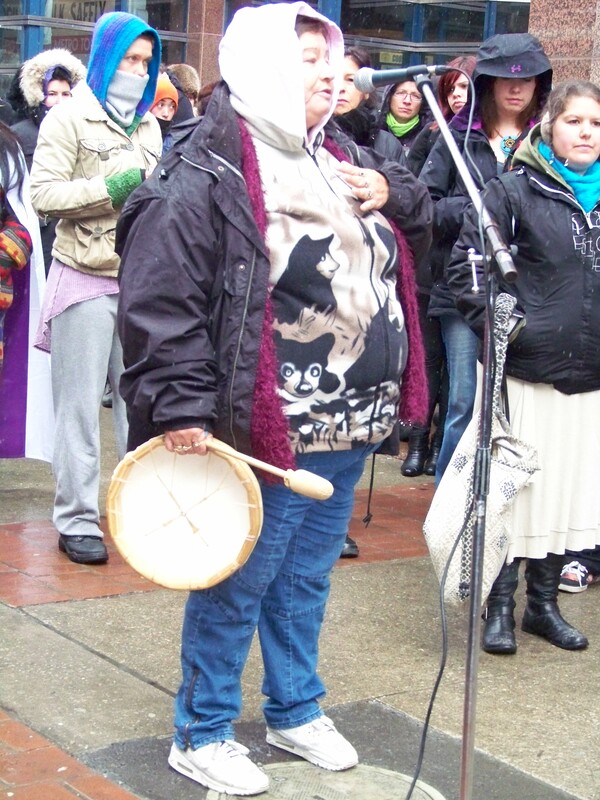 BCP: At a rally in Ottawa (June 2011) you said you were “drawing attention to the lack of attention given to cases [of missing and murdered Aboriginal women]. How have you been doing this? Have things improved? BT: Please see our mission statement and 30 Days of Justice blog. BCP: You said something very powerful at a rally: “It is very difficult to ignore something that refuses to be ignored.” Where do you get the strength to get up and fight every day? BT: This isn’t something you can do from 9-5 on weekdays and forget about it. The trauma of violence and loss just doesn’t go away during holidays and vacations; it’s actually worse lots of the time. This is about fighting 365 days a year for justice and action! It can get overwhelmed, and there are certainly days that I feel like giving up, but that is when you reach out to those who love and support you, including other families, to get you through the hardest days. Some days are better than others. BCP: Families of Sisters in Spirit is not funded by anybody. This is a strength considering how Sisters In Spirit lost their funding. FSIS has recently been given a space by Ottawa Coalition to End Violence against Women. Where will you get money for day-to-day operations? Are you accepting donations? If so, where can people send money? BCP: You’ve said, “I need honesty, transparency, and respect” from police and government agencies. Considering the way police and government have behaved, do you believe you’ll get honesty, transparency, and respect? 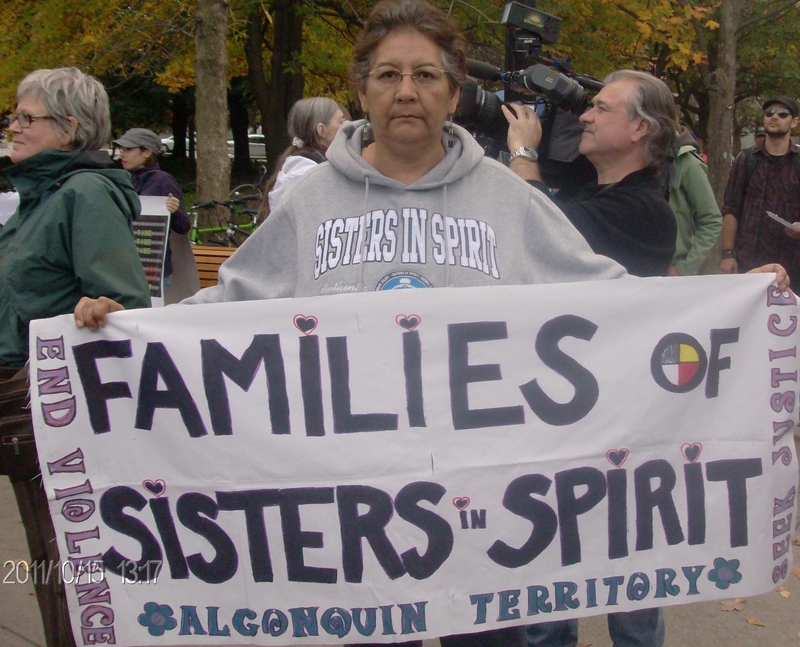 BCP: How can non-Aboriginal allies help Families of Sisters in Spirit? BT: Non-Aboriginal allies are very important in providing support and solidarity with FSIS. 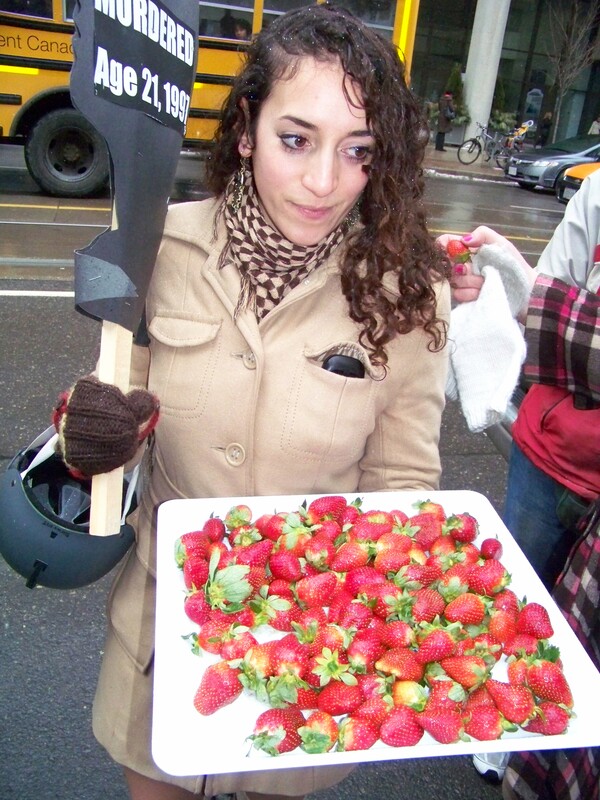 Our co-founder Kristen Gilchrist is a non-Aboriginal, non family member, ally of FSIS. Being an ally does not mean you feel guilty about racism, colonialism, sexism, classism etc. Being an ally means taking responsibility in your own lives and communities, and using your own voices and talents to support decolonization and self-determination, and provide a space for Aboriginal women to make decisions affecting their own lives and the lives of their families and communities. BCP: What advice do you have for families who have a missing or murdered Aboriginal relative? BT: It is such a terrible shock and trauma to lose someone and it can be very difficult to know what do, how to feel, or what steps to take. It can be even worse when it feels like the police are not taking the case seriously and so families are left to do their own searches, hand out flyers, locate witnesses, talk to the media, and so on. There are definitely not proper or adequate supports in place, but I want families to know, “You are not alone.” There are other families and allies out there like FSIS who want to provide support and assistance to families dealing with disappearance or murder. Seek out support in any place that you can find it. It is not something any one of us can do alone. Families of Sisters in Spirit (FSIS) provides support for families of missing and murdered Aboriginal women to come together in solidarity, share their experiences and raise public awareness towards ending the high rates of violence facing Aboriginal women and girls in Canada, including by addressing the root causes of the violence and promoting Aboriginal and family-led strategies for change. An end to violence against women and girls in Canada, in particular Aboriginal women and girls and access to justice, including a better response from communities, the police, the justice system and the media, when a woman goes missing or is murdered. FSIS understands that to address violence against Aboriginal women actions must be directed by those most affected and solutions must counter the ongoing effects of colonization, including poverty, racism and misogyny (hatred of women). 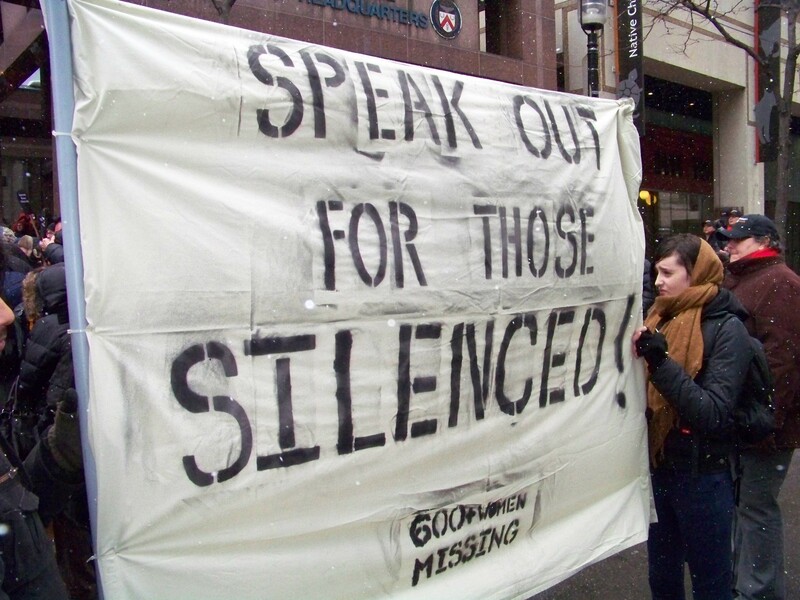 The root causes of violence, including the historical, colonial and socio-economic factors, are also fundamentally intertwined with the indifference to violence faced by Aboriginal women, evident through the inadequate police and justice system response and the poor media and public attention given to cases of Aboriginal women who have gone missing or been murdered. 1. 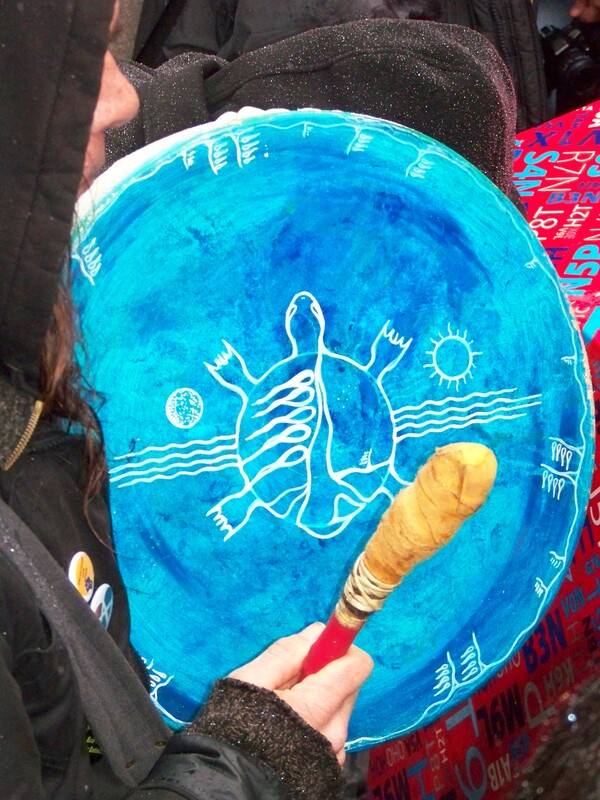 All levels of government, including Aboriginal and non-Aboriginal government, identify and recognize the high rates of violence against Aboriginal women and the root causes of the violence, and take action to achieve their obligations towards address violence against women, its causes and consequences. 2. Where families of missing and murdered Aboriginal women believe the initial investigation into their case was inadequate or requires further review, the case is reopened for independent investigation, with the family’s consent and involvement. 3. Provide and ensure ongoing support for families, including legal support, support for travel to legal proceedings and public events, connection with other families and access to psycho-social and healing support of their choosing. 4. 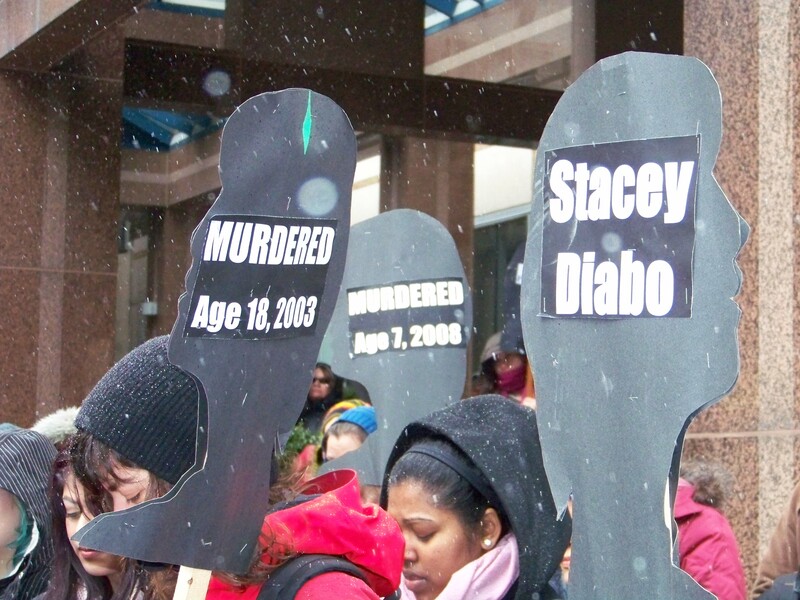 Advocating for standard police training towards improved monitoring and accountability for the handling of cases of missing and murdered Aboriginal women and girls, and stronger communication and support for families from police and justice officials, including the development and implementation of standard protocols for identifying, reporting and investigating cases. This should include the maintenance and sharing of data across jurisdictions and training for police working with Aboriginal communities. 1. Works alongside families to build a dialogue with parliamentarians, governments and policy leaders about the structural and root causes of violence and marginalization which put Aboriginal women at higher risks of violence and limits their access to justice. FSIS enables families to engage in policy dialogue towards ending violence against Aboriginal women and girls. 2. Connects individuals, families, communities and organizations through social media and growing networks to promote events and communications and publicize new and ongoing cases of missing and murdered Aboriginal women. 3. Engages in public education campaigns aimed at drawing attention to new and ongoing cases and the lack of adequate police, justice, media, and societal responses to violence against Aboriginal women. Tune into Black Coffee Poet Friday February 17, 2012 for poetry Honouring and Remembering Indigenous Women by Janet Marie Rogers, Jamaias DaCosta, and Dallas Goldtooth. This entry was posted in Uncategorized and tagged 30 Days of Justice, 600 Missing and Murdered Aboriginal Women, AIDS Committee Ottawa, Beverly Jacobs, Black Coffee Poet, Bridget Tolley, Canadian Resource Centre for Victims of Crime, Carleton University, Evidence To Action, Families of Sisters In Spirit, First Nations Peoples, First Nations Women, Gladys Tolley, https://blackcoffeepoet.com/, Indigenous Peoples Solidarity Movement Ottawa, Kitigan Zibi Anishinabeg, Kristen Gilchrist, Missing and Murdered Aborginal Women, Missing and Murdered Native Women in Canada, Native Men's Residence, Native Women's Association of Canada, Native Youth Sexual Health Network, No More Silence, No More Silence February 14th Rally, OPIRG, Ottawa Coalition to End Violence, Ottawa Coalition to End Violence Against Women, Prostitutes of Ottawa-Gatineau Work Educate Resist, Sagatay, Sisters in Spirit loses funding, Stolen Sisters, University of Ottawa Women Resource Centre, Wanda Whitebird. Bookmark the permalink.